Pet odor can often be removed during professional carpet cleaning, but the cushion and subfloor are not addressed. The existing cushion should be removed, the subfloor treated, new cushion provided, and the carpet re-installed. 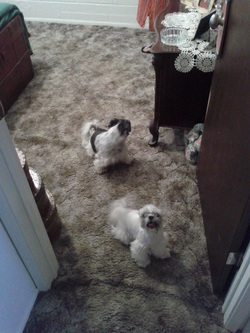 The subfloor should also be treated before new carpet is installed if there is evidence of pet odor. Although there are commercial products (enzyme solutions), ozone generators, and home remedies (bleach water, vinegar, etc. ), that may reduce the odor, it is my experience that a physical barrier (oil-based sealer / primer) applied to the affected areas is the most effective solution.